EDDM marketing is an effective way to grow your photography studio’s customer base by targeting potential customers in specific areas near your business. 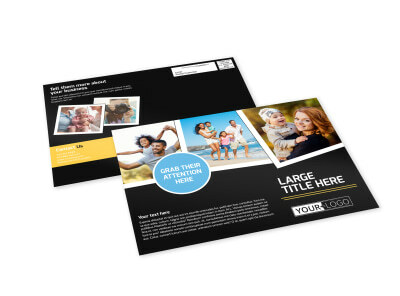 With our photography EDDM postcard templates, you can design regulation postcards that are compatible with EDDM marketing guidelines and that draw interest to what your business offers. Customize both sides of your postcards using our online editor, adding images, logos, graphics, and other elements along with your message to garner interest and keep your schedule booked tight. Design your postcards, and then let us print them for you, or opt for immediate printing from your own computer.